The Inspector-General Ibrahim Idris met with the president at the State House on Monday afternoon, which has become a tradition for outgoing inspectors-general in recent years. 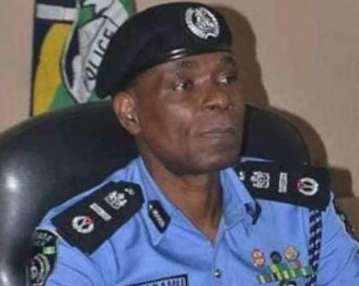 Idris who is to retire from service tomorrow based on age ground has created an uproar in the country due to the rumor that the president wanted to extend his tenor as the IGP. A Presidencial sources also confirmed the information. Top security analysts have also disclosed their awareness. Mohammed is from Nasarawa State, he is an assistant inspector-general by rank. He is also known within police circles as Adamu Mohammed Lafia, in reference to his place of birth, which is the Nasarawa State capital. Mr Mohammed was born on November 9, 1961. He enlisted in the police in 1986. He has a bachelors degree in geography. Before now Mohammed was at one time a director of peacekeeping operations. He is a former police commissioner in Enugu and was an AIG in charge of Zone 5. Mr Mohammed’s spent years of his career with Interpol, the international law enforcement outfit that has Nigeria as a prominent member. He was at the headquarters of the agency in Lyon, France, for several years. Sources familiar with his career described him as a “diligent and unruffled” police officer.